This is a true vision of the world of tomorrow, where humanity travels near the speed of sound. As if building a transportation system that can get someone from Los Angeles to San Francisco in a little over half an hour isn’t challenging enough, Hyperloop Transportation Technologies (HTT) now has their sights on connecting all of Europe via Hyperloop, beginning with the Czech Republic. The company recently announced their partnership with Brno, Czech Republic to begin work on the first European Hyperloop. It will extend from the Czech Republic to Slovakia. “This agreement marks the immediate exploration of the feasibility for a Hyperloop™ system for the city with a focus on connecting Brno and Bratislava, Slovakia, with which HTT already holds a development agreement, with a vision for also connecting Prague, the Czech capital,” HTT in a public statement. Confident that the technology is sound, HTT’s next steps are focused on working with governments around the world to begin building the infrastructure necessary to implement Hyperloop globally. “Hyperloop in Europe would cut distances substantially and network cities in unprecedented ways. A transportation system of this kind would redefine the concept of commuting and boost cross-border cooperation in Europe,” said Vazil Hudak, Minister of Economy of the Slovak Republic last year. 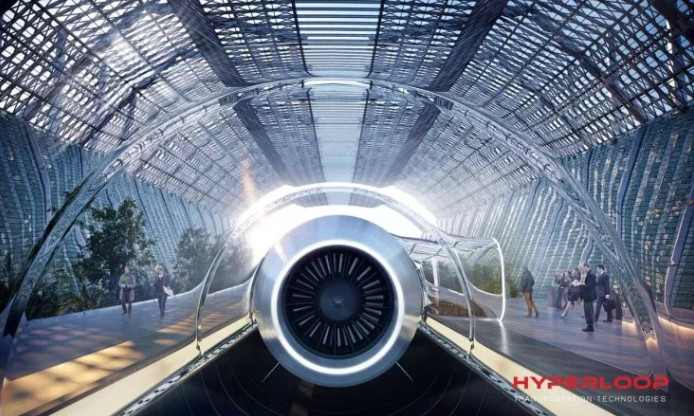 It is critical for Hyperloop to be working directly with regulators at this stage of development, new rules and frameworks will need to be written as we begin building out systems in Slovakia, the Emirates and several other to come,” adds said HTT CEO, Dirk Ahlborn. HTT is a company led by NASA and Boeing veterans who want to offer an efficient, green, and remarkably fast way to travel via the Hyperloop. At its core, Hyperloop is a tube-based transportation system for inter and intra-city transport. With a drastic reduction of air in the tube, motion is achieved with nearly zero friction allowing passengers to safely accelerate to airplane speeds. This is all powered by a combination of alternative energy and energy conservation systems. We are building Hyperloop to produce as much or more energy than it uses. Hyperloop One, a group backed by DP World Group of Dubai who just received $50 million in funding, and the California-based company Hyperloop Technologies Inc. (HTI), who intend to build a test track in North Las Vegas, are also working to create solar-powered, green hyperloop systems. Whether or not Hyperloop be adopted as a viable and preferred mode of transportation isn’t certain. But, as the global population swells and climate change continues to be a growing threat, the need for a sustainable but efficient mass transit system is evident. Creating sustainable energy solutions is the only way to protect the planet and its inhabitants, and making Hyperloop a global system could be part of the solution.